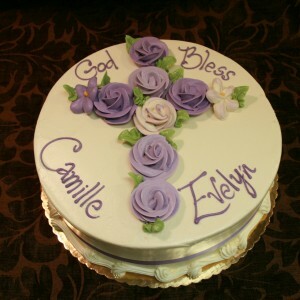 Featuring a cross made up of buttercream roses in the center. Includes customer’s choice of pastel color roses. Shown as a 10″ frosted in vanilla buttercream with shades of lavender roses. 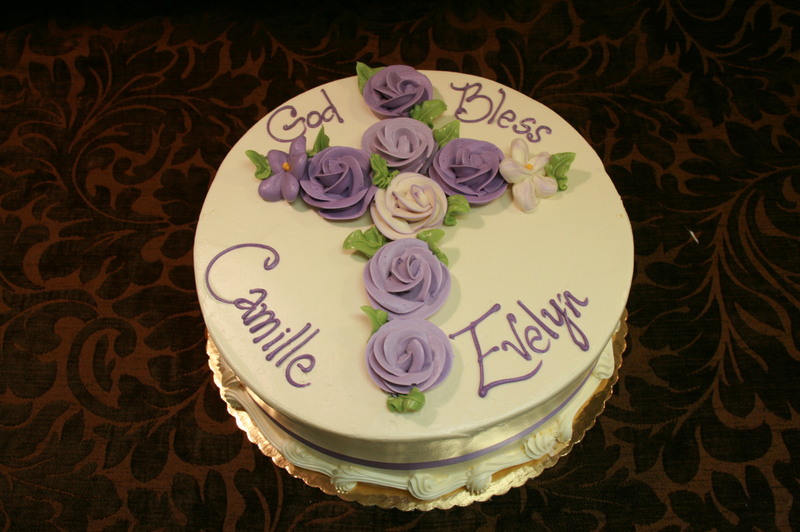 This design works best on a 10″ or larger cake. All flavors and sizes available with 7 day’s notice. Limited sizes & flavors available with 24 hours notice.